Epson Smart Panel gets your computer, printer, and scanner to act as a team. 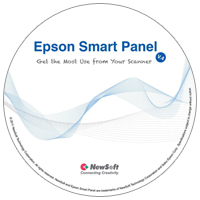 With Epson Smart Panel as the control center, you can e-mail, scan, print, fax, or use OCR (Optical Character Recognition). If you want to scan something and e-mail it, Smart Panel lets the scanner communicate with the e-mail program. If you want to scan something and print it, then Smart Panel lets your scanner communicate with the printer. There are nine useful applications to make things faster, easier, and smarter. There are two display options for your Smart Panel buttons, and there is a Live Update function. Live Update will help you keep everything current and registering your purchase and to get technical assistance. You can register with NewSoft Live Update to receive notices of any new program updates and to get access to technical support. You can always click the Live Update icon on the main screen to check for available updates. Scan to File helps format and save scanned data on your hard disk. It's good for getting stuff off of your desk and into your computer. Scan to Print combines scanning with printing. It allows you to send your scanned images directly to Presto! PrintCentral, where you can add notations, change parameters, resize, and rearrange to make it fit on less paper. It saves time, money, and the environment. The helpful guide makes scanning and printing a breeze. Note：If you make Scan to Print the target for the Scan Button on your scanner, the image will be sent to Presto! PrintCentral directly. 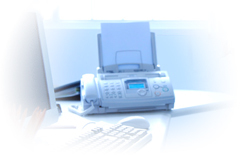 Scan to Fax combines scanning with faxing. It allows you to send your scanned images out by fax. The helpful guide makes scanning and faxing a snap. Note：If you make Scan to Fax the target for the Scan Button on your scanner, the image will be sent the fax machine immediately upon scanning. You must have a fax program installed before using Scan to Fax. 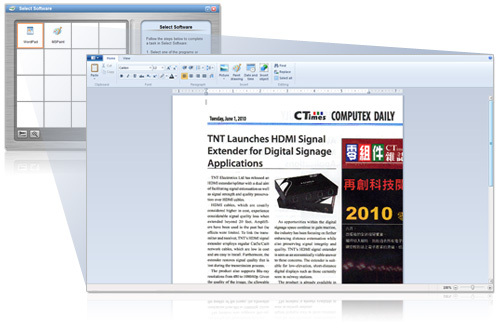 Edit Text performs optical character recognition, the process in which a multifunction device examines printed characters on paper and then uses character recognition methods to translate them into computer text. In this way, Edit Text allows you to convert scanned text from an image into editable text. Edit Text will guide you through this process to achieve the best results from your scan. Note：If you make Edit Text the target for the scan button on your scanner, the recognized text will be sent to the word processor of your choice. You must have an OCR program installed before using Edit Text. Business Card quickly converts the information on your business cards into an organized database. It recognizes scanned business cards and puts information into the correct column. Different viewing modes allow for easy searching, editing, creating, and sorting of your contact information. You can also share, synchronize, and export information with programs like Microsoft Excel and Outlook, other contact management software, and personal digital assistants (PDAs). Note：Presto! BizCard must be installed before starting Business Card. If you don't have Presto! BizCard, you can purchase it online. View and Create helps you to quickly edit images with an editing program like Photo Impression or ImageFolio. Click View and Create to start the program and open the image to be scanned. After scanning, you can edit, enhance, or make photo albums or fancy greeting cards. 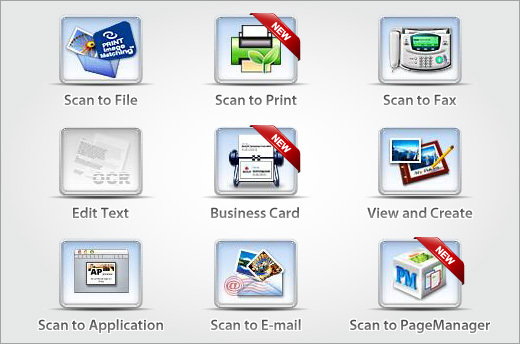 Scan to Application allows you to send scanned images directly to a specific program or device. The helpful guide makes scanning a cinch. Note：If you make Scan to Application the target applet for the Scan Button on your scanner, the image will be sent to the application you have previously selected. With Scan to E-mail, you can easily share photos and images by attaching them to e-mail messages. Scan to E-mail supports various e-mail programs and has a friendly, on-screen wizard to guide you through the scanning and e-mail process. Scan to PageManager helps you to send scanned files to the Presto! 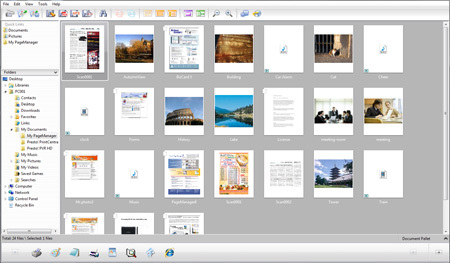 PageManager document management system. You can file, arrange, sort, edit, print and much more. Note：If you make Scan to PageManager the target for the Scan Button on your scanner, the image will be sent to Presto! PageManager directly. SmartPanel 4.0 comes with Presto! 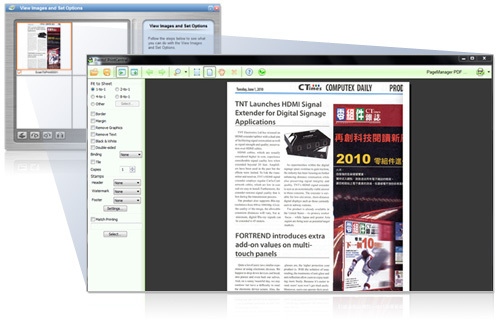 PageManager Standard Edition. If you wish to purchase the Full Edition, you can purchase it online. Note: Installation requires Administrator rights. Operating the program can be done with User privileges. The upgrade program version 4.0 supports all Epson scanner models listed in the following table. Note:Please ensure that the scanner driver has been installed and the scanner works properly before installing the upgrade program. Some models may not have drivers for the latest operating systems.